How to say no… there is an art to it. Sure, it’s very 2019 to #justsayyes to anything and work out the details later, but in an age of everyday super heroes where we expect ourselves to multi-task families, jobs, friends, endless personal admin lists and social demands, we often make the decision not to say no to anything for fear of what others might think. We wouldn’t want to be labelled selfish, or worse still suffer from (the overused) FOMO. 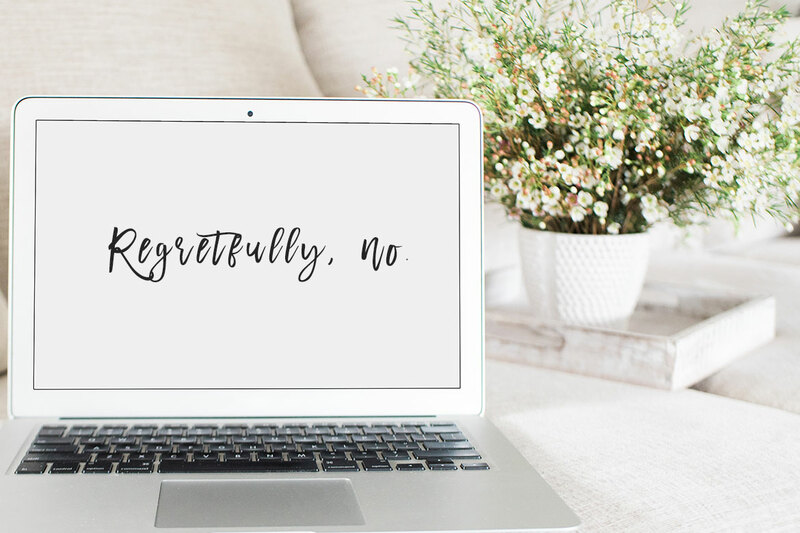 I recently talked to some friends about the art of saying no. Everyone agreed saying yes to the right things is awesome: you meet new people, have unexpected experiences, and boy, do you feel great helping out someone who really appreciates it. But let’s be honest. Some of us quite like saying yes to everything because we feel needed. And sometimes we love the story that we are so busy helping others we don’t have time for ourselves. This story is great. Except when you’re skipping meals, your health goals, family time and rushing round at work trying to squeeze it all in. If this is you, can I cheekily suggest it’s worth considering what you’re getting from your “I’m so busy” story? As cool and lovely as saying yes is, those of us looking for balance need to learn to say no. And with conviction. If we don’t, we are draining ourselves of all our energy on tasks we don’t want to do, and have nothing left in the tank for things we do want. You become the ‘reliable yes mum, sister, mate, school helper, local volunteer team of one.’ Not an ideal position to be in unless you want to be known as the lady baking 20 cakes for the school fete/managing five junior soccer teams. Saying “No thanks” starts with a mindset change. It starts with putting your needs first. I know … how dare I say it? Take a look at your big picture—how is saying yes to so many activities, appointments, play dates, overtime working out for you? Say no straight away if you know you’re not going to do it. Don’t procrastinate. If you can’t help out at an event politely decline but send through a helpful tip / article. No explanation required? No. You’re already committed elsewhere and you don’t need to justify it to anyone. If pushed for detail, explain you’re already fully booked. If a ‘bully’ keeps asking, reiterate how you keep promises to yourself / family and expect the same of them. For the “On second thoughts, I want to pull the pin” dilemma, be polite, firm and honest. Admit on reflection you have over-committed without thinking through the consequences, you aren’t able to give 100 per cent, and, if you can, make suggestions for alternatives. No one is going to hold you to ransom for stepping out of a commitment. What about any guilt? Nobody has forced you to feel guilty—it’s self-generated. See the bigger picture where your time and energy is being poured into a greater purpose and the guilt won’t ring in your ears quite so loudly. So, when you next want to say no – just do it! And if your diary is fully stacked with extra commitments which aren’t serving you and you’re feeling massively overwhelmed and under-excited, I think you know what you need to do next.